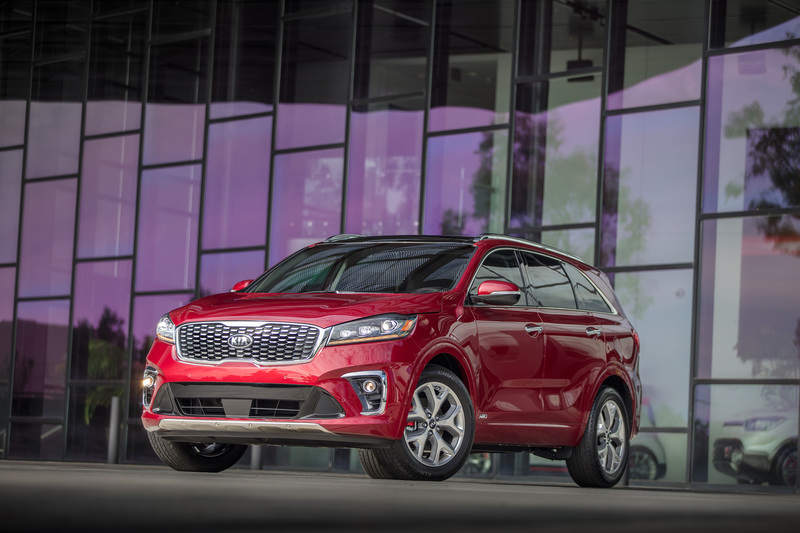 LOS ANGELES, November 30, 2017 – Kia Motors America (KMA) today unveiled the refreshed 2019 Sorento SUV at the Los Angeles International Auto Show. 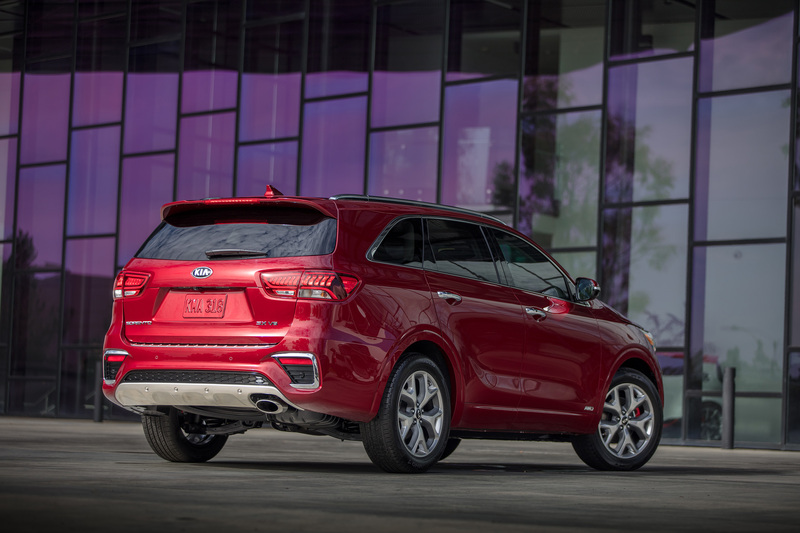 Refined, rugged and roomy, the Sorento remains as capable as ever, but touts a number of visual and feature enhancements, inside and out. Aside from new front and rear fascias, which help achieve a more sophisticated appearance, the cabin is now decidedly more upscale and integrates newly-added technology, including Driver Attention Warning,4 Lane Keep Assist1 and QuantumLogic™ Surround Sound. 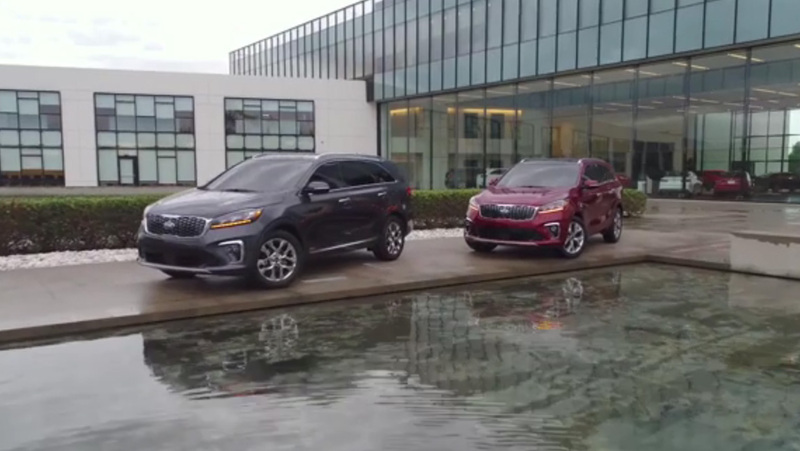 In addition, the Sorento now pairs its available 3.3-liter V6 with a new 8-speed automatic transmission for an even smoother and more seamless driving experience. 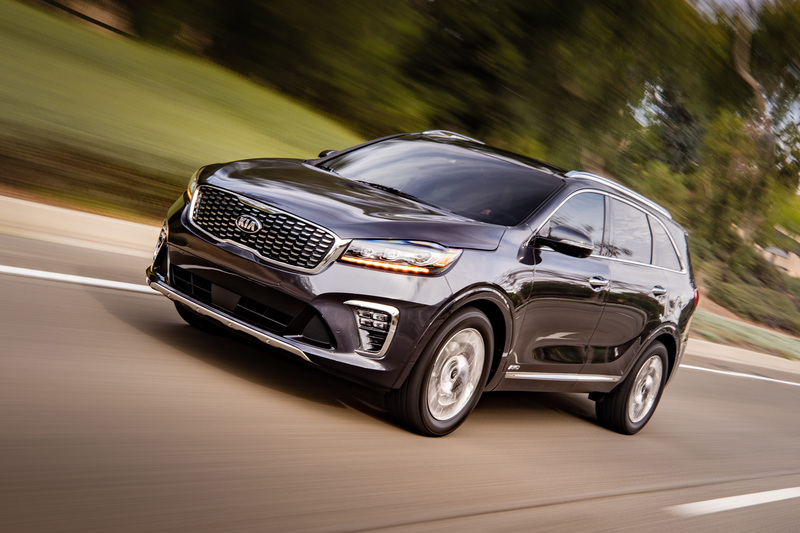 Refreshed 2019 Kia Sorento SUV makes U.S. debut at the Los Angeles Auto Show. 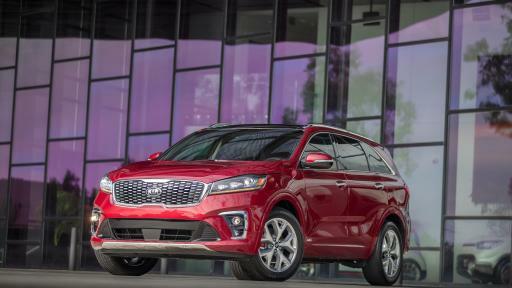 Refreshed Kia Sorento SUV makes U.S. debut at the Los Angeles Auto Show. 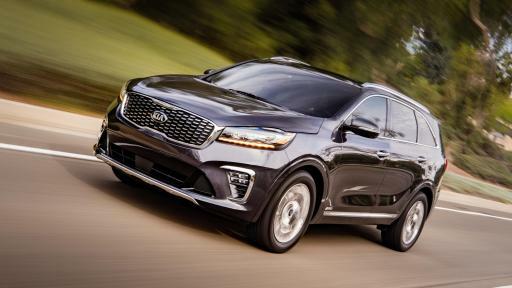 2019 Kia Sorento enjoys numerous exterior and interior enhancements to achieve a more refined and sophisticated look. 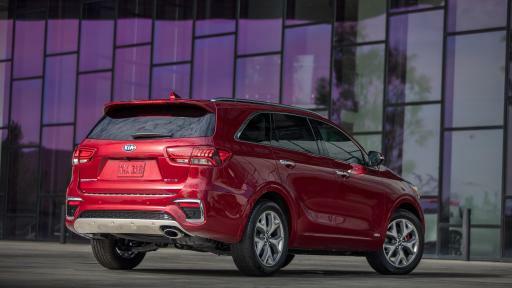 The utility’s performance is elevated with an available new 8-speed automatic transmission. The rear fascia of 2019 Sorento SUV has a new bumper design, sleeker taillamps, revised liftgate and a sportier muffler tip. 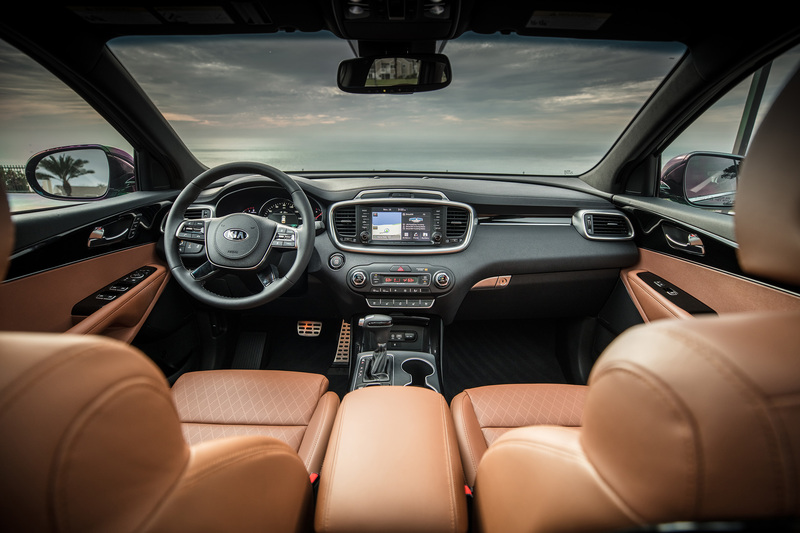 Spacious and sophisticated, the Sorento’s cabin maintains a premium look and feel thanks to an array of upgrades. 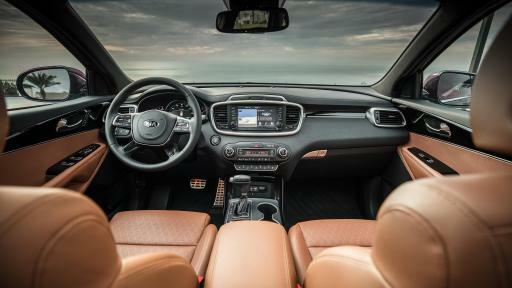 Sorento provides space for seven passengers thanks to the addition of a standard third-row folding seat. 3 Charging system only works with select devices. Refer to the vehicle's Owner's Manual for warnings and instructions. 7Apple CarPlay is a registered trademark of Apple, Inc.
8 iPhone8 and iPhoneX are registered trademarks of Apple, Inc.
9 Apps use your smartphone data service. Normal cellular service rates will apply. 10 iTunes and Siri are registered trademarks of Apple, Inc.
11 Google Play is a service mark of Google, Inc.
13 Pandora® is a registered trademark of Pandora Media, Inc.
14 iHeartRadio® is a registered trademark of Clear Channel Broadcasting, Inc.
15 No system, no matter how advanced, can compensate for all driver error and/or driving conditions. Always drive responsibly.